Guy Kawasaki is one of the master minds that makes the Internet more fun and sharable, for me he is one of the contributions that build and create the culture of the Internet by supporting the right i initiative, which Canva is. Guy is a part of this startup which let us use and connect with each other by graphic design and over one million photos by Canva. 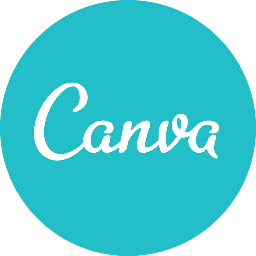 Canva makes it easy to work with others, letting you share and edit your designs with family, friends and coworkers. I believe that the success of Canva is it’s balance between fun and sharability. The more they master to get our needs for social connections the easier they can become even more successful than today’s traditional social media- but then they need to make us feel like kids in a playground. This startup is based in Australia, I have only been there one day but even on that short time I got to understand why they have a so strong culture of entrepreneurship in the Internet. One strong reason is that it’s to far to ship goods (too expensive), but online is the perfect platform to ship talent global with no costs. I believe we will see a lot more creative solutions from down under to be shared with the rest of the world, specially if they can attract master minds as Guy Kawasaki to make it grow. If you like to be a part of their dream team, they are hiring talents as we speak. The way Canva mix co-creation with consumer power feels like a strong case that should have been part of my ONE book. Thanks to Guy Kawasaki for sharing this with me so I can share it with you.